Exhibition ‘Let the Machines Do the Work? Let Them Do It!’ will present the development of agricultural machinery within the context of important Czech and international events. 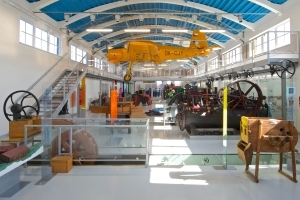 In addition to the history of Czech agricultural machinery, this exhibition will also present the history of entrepreneurship in agricultural mechanisation, an area that was in each historical period represented by Czech names and important Czech companies.